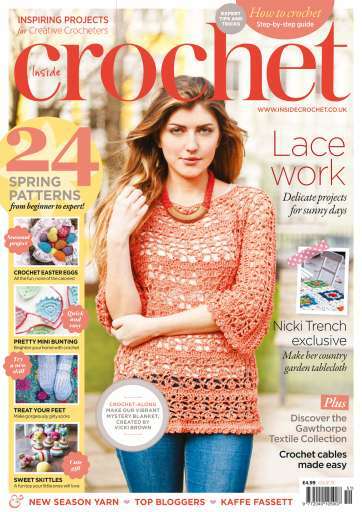 Get ready for some al fresco dining with Nicki Trench's beautiful lace tablecloth, exclusive to Inside Crochet! 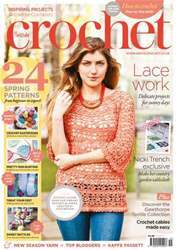 Inside issue 51 you'll find 24 spring patterns to suit everyone from beginner to expert, with a look at lace work, fashionable garments and cute accessories. 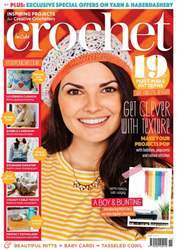 Ali Campbell helps you get a head-start on the spring cleaning with her Crochet Tidy while Sally Shepherd helps keep the kids entertained with her fun animal skittles. 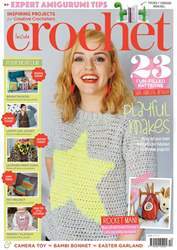 If you're looking for seasonal projects, you can enjoy the sweetness of Easter with none of the calories by hooking Emma Escott's Egg-cellent crocheted eggs. Finally, this issue sees the last instalment of our 4-part Mystery Blanket series. 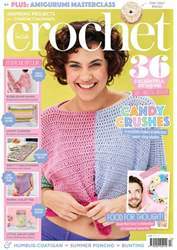 It has been a joy to discover what beautiful colours and stitches will come next each issue and you'll love what Vicki has for you in this final piece.